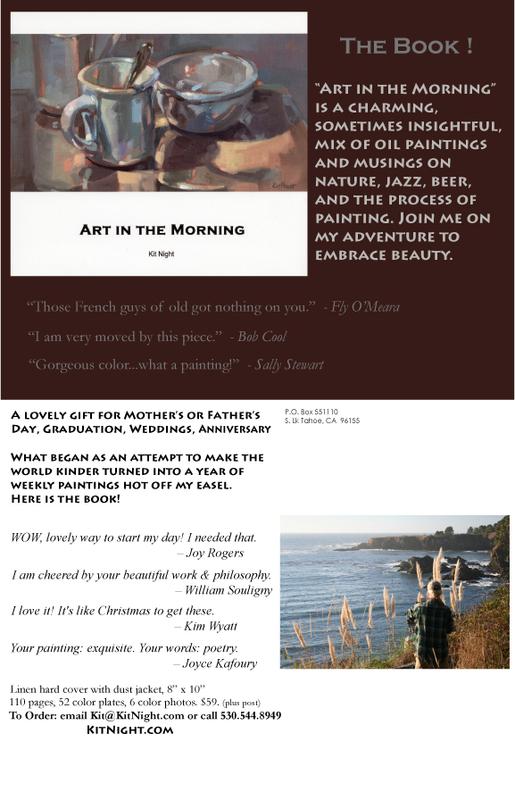 Painting is my path to sanity, beauty, quiet. Also to challenge, hard work, taking risk, seeking to discover something new. The process is not easy, but it is very worthwhile. I love the solitude and the reward. I love bringing a moment of peace and beauty to others through my work. A Lovely Gift Book of kindness and color. After several print runs, SOLD OUT. Thank you. Visit more of my work on my other website: KNightFineArt.com. A few of those pieces are still available. Please inquire for availability and pricing. I'm low pressure. No pressure. 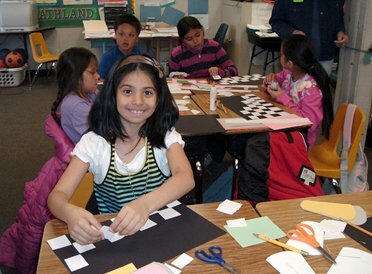 I enjoyed a few of years volunteering to bring art projects to one of our local elementary schools. 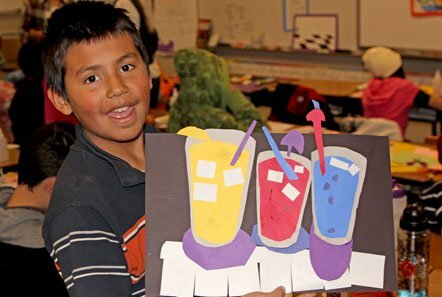 Joy Rogers, our BATS (Bring Art to Schools) program director, was looking for art projects beyond their regular program format. I have zero time and thought, "Say, what?!" But it is a good cause. There is a reason we’ve made art since the beginning. We need it. Art is one of the things that separates us from other animals. I decided to just say yes, knowing that then I would find the time, even if it means working later somewhere else. I wanted the projects to be about art. But I also wanted to incorporate another care of mine - kids and families making healthier food choices for a long-term higher quality of life. I came up with "Eating the Rainbow," a cut-paper design concept full of vivid color and the illusion of space with discussion of healthy alternatives to sugar-spike, highly processed foods. Fortuitously, Michelle Obama was on the same bandwagon. Fantastic! The kids loved it! So did I. I learned a lot. Not only does art give them quiet time to problem-solve and say things their way, it teaches them motor skills, advanced planning, spatial awareness and delayed gratification. Not to mention, their art projects looked way cooler than mine. Here are just a few of the kid's paper cutouts. 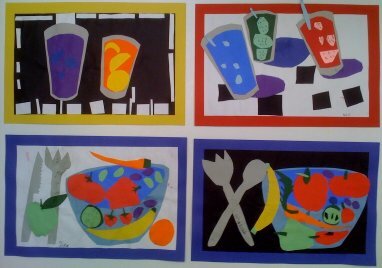 Matisse would have been inspired. This year I had fun teaching a group of about 30 adults how to do these cut paper exercises so that they, too, could enjoy volunteering to bring art to the schools! We had a blast.